One more reason to dread holiday stress: holiday stress is bad for your health, reports this article in Health Day. Try to enjoy family get-togethers and take them in stride. If you're alone, contact friends or offer to do volunteer work. If finances are an issue, set and stick to a budget. Feel free to say no to things you just can't do. Keep your holiday expectations realistic to avoid disappointment. Plan some activities but don't dwell on things that go wrong. Limit your alcohol and tobacco consumption. Our family bakery has been in business for almost 50 years- our baked goods are made from scratch with our family recipes so you can have the real thing this holiday, not some boxed junk! DIY Gingerbread House nights- Hurry before they fill up! We still have spaces left in our Ontario Bakery's DIY gingerbread house making classes, but they are filling up fast. (Sorry- not available at our Rancho Cucamonga Bakery, so come over to Ontario.) These classes will be a part of your family's holiday memories for years to come. Last year they sold out, so call us today to reserve your spot. You can get a stunning, professionally-decorated gingerbread house from Ontario Bakery for only $50, so why do it yourself? Give a meaningful gift for only $35! Make it together! When your family collaborates to build a gingerbread house, you are giving each other and the recipient the gift of your time and presence. A family fun night and a gift for teacher, grandma, or or your own home for only $35. Unleash your creativity! This is a chance to nurture the talents in your family. 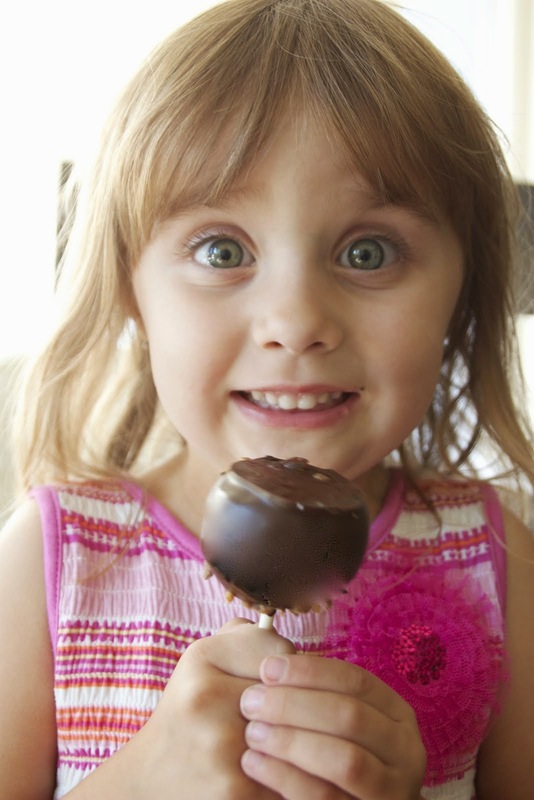 Of course...its edible and sweet, like many of the best gifts! We still have spots open for December 11, 12, and 13! Don't wait to reserve. Looking for a custom Christmas cake that is a little different this year? 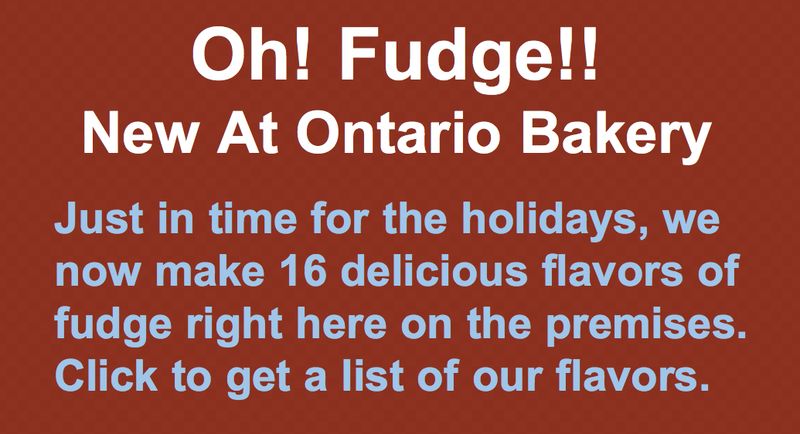 Come into Ontario Bakery (Rancho Cucamonga location too) for all your holiday needs. We specialize in original custom cakes for every occasion like this custom Nightmare Before Christmas cake. 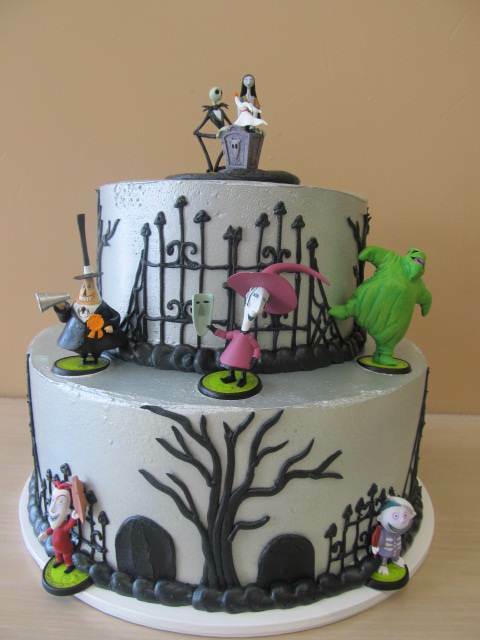 We will bake you up a memorable cake for your birthday, wedding, or special occasion. Our family recipes are a holiday tradition in the inland empire. Order your custom Christmas cake from us today! Start A New Tradition With Our "We Bake It, You Build It" Gingerbread House Nights! The season is upon us, and all the tradition decorations are coming out of sheds, attics, and garages throughout the Inland Empire. With all the potential for fun, colorful table toppers, and fireplace mantel items there is something especially romantic about the ginger bread house. 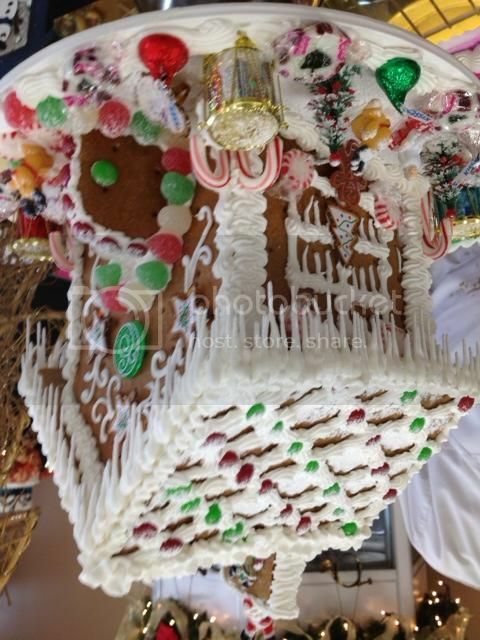 "There are plenty of places in Southern California where you can buy a finished ginger bread house," offers Ontario Bakery Owner Chris Fabos, "and we will happily sell you the finished product decorated by our skilled staff for just $50. But how much more fun and memorable to bring your family or friends and get some instruction, then add the fancy candies and other elements yourself? You spend only $35 for the experience and you take home the finished product, too"
"We offered these ginger bread building nights last year and sold out quickly" says Fabos. "So we are encouraging folks to sign up quickly. 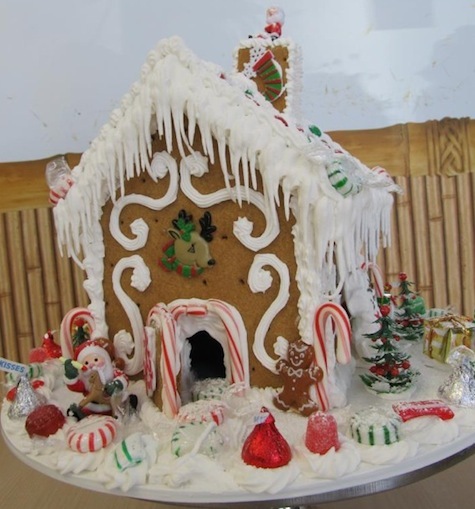 Sign ups are still being taken for the "We Bake It You Build it Gingerbread House Nights." The cost is $35 and includes everything you need to make a beautiful Christmas memory. Each group can be up to 4 people creating one house. 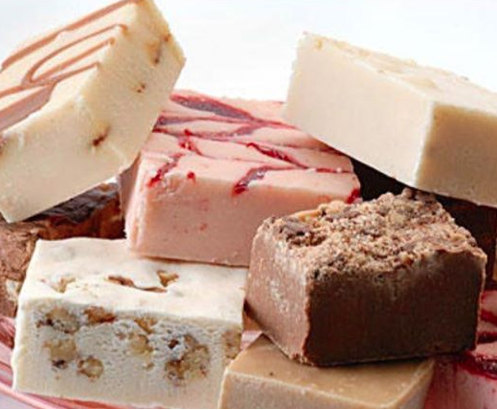 The sessions are held at Ontario Bakeries' Ontario California location. Call 909-984-4919 to get your reservation in. Available dates are December 6, 11, 12, and 13. 1. Don't choose too many elements, or an overly complicated design. Your baker can advise you on what creative ideas will work well as a cake design, and what might end up looking too chaotic, messy, or silly. 2. Don't forget to share color swatches with your baker. If all you give them to go on is "red", the results may clash with your other elements. 3. Don't have an amateur bake your cake. 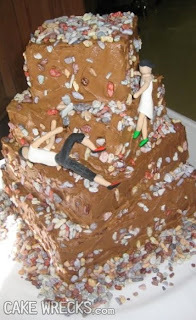 Wedding cakes are difficult structurally, difficult to transport, etc. Even if your friend bakes a great birthday cake you probably don't want to trust them with your unforgettable 4-tier masterpiece. Choose a bakery experienced with wedding cakes. 4. Don't forget when and where you will be getting married. Hot weather, humidity levels, outdoor locations, and similar considerations should be part of your design process. 5. Don't assume your baker can read your mind. 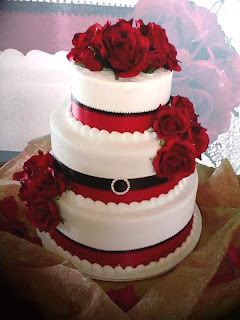 Use specific, descriptive language, and pictures to illustrate what you like and don't like in wedding cakes. 6. Don't miss out on tasting your cake ahead of time! A good bakery will arrange a no-obligation tasting for you so that you can try out flavors and see what you like best. 7. Don't be limited by familial pressures or social convention! All kinds of wedding cakes can be beautiful. It is ok to choose a custom wedding cake that expresses your unique personality and style. 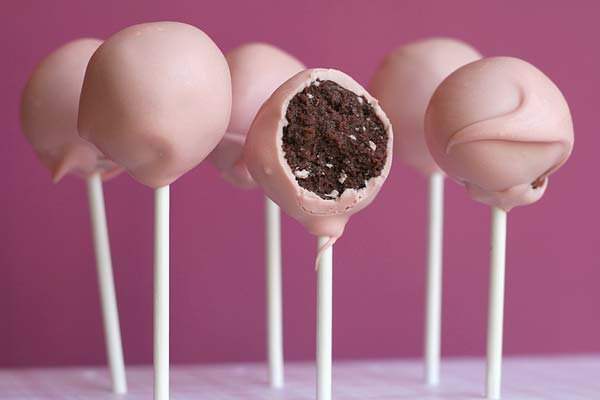 Just choose an experienced baker who will do it tastefully.